I can hardly believe we're sailing into November this week! As we cruise into these major holiday months, my attention is turned toward entertaining. I love to offer gussied up individual desserts at a meal's end. That's what these entirely edible shots are all about! 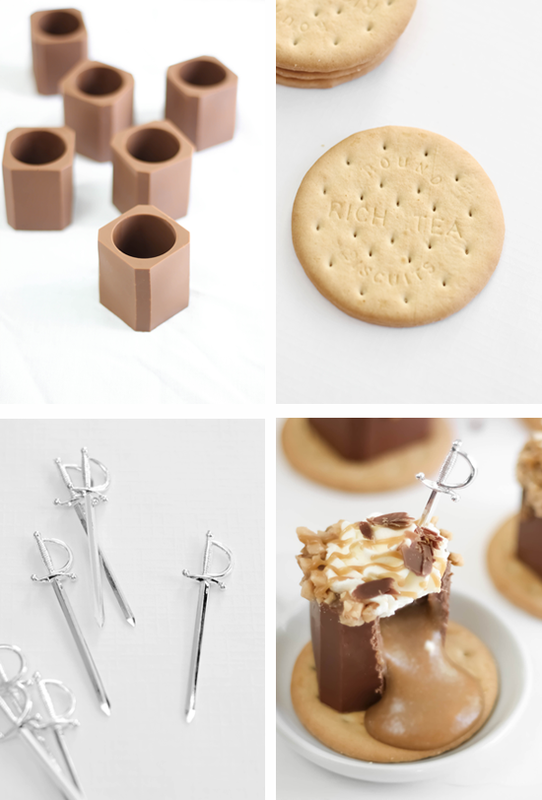 To make these you'll need a silicone shot glass mold. I found mine online (here) . The mold is small and relatively inexpensive (they range from $3 to $15) so I didn't mind allotting it a little of my rationed cabinet space. I'm already planning to use it again for Christmas. Wouldn't a tray of these in gingerbread and peppermint flavors be so party-perfect? Yes! Eating one of these is like eating a toffee candy bar, except with a flowing toffee center. I decided to use store-bought tea biscuits as "coasters" and in the end I really appreciated having that cookie as a foil for all that sweet toffee. 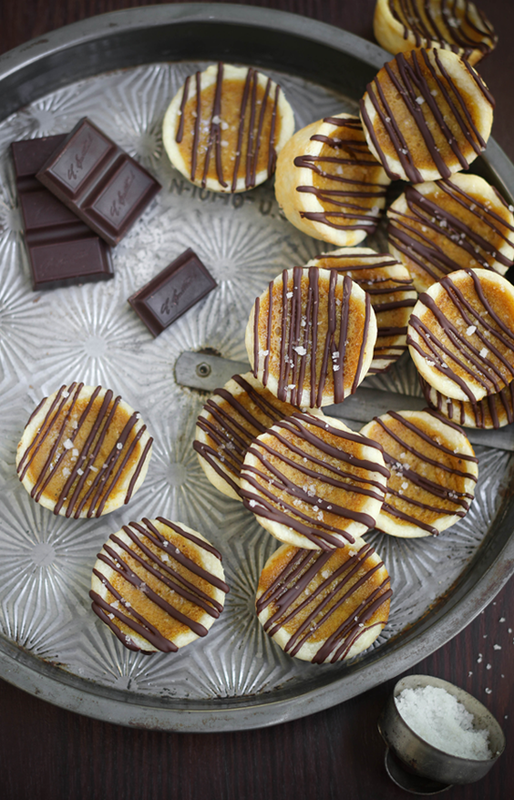 The rims of these are dipped in English toffee bits, which gives them a little extra crunch and yumminess. Sometimes I'll fall in love with a song and listen to it on repeat for hours. It satisfies some longing in the soul. That's kind of how I feel right now except it's not for music, it's for pumpkin and chocolate. I keep using this combination in my fall baking with no signs of stopping! 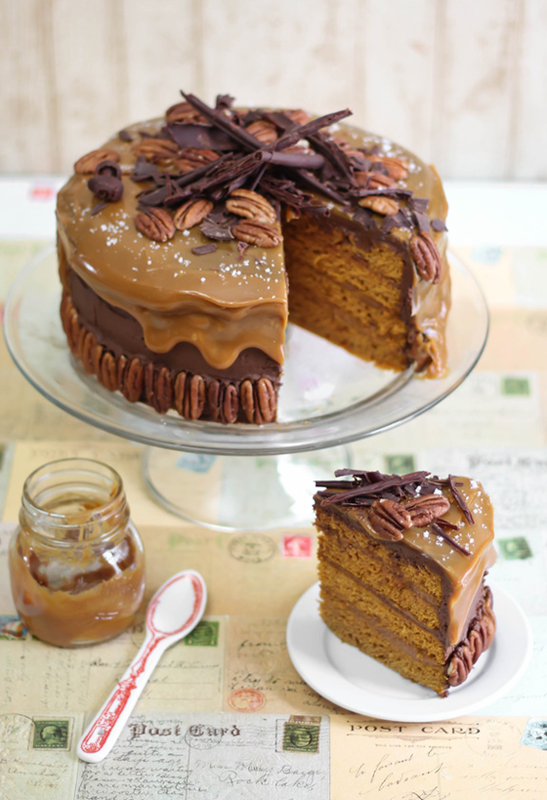 This torte combines yummy pumpkin cake layers and the flavors of chocolate turtle candies. It's so good and so easy (yes, easy!) I might bring it home for Thanksgiving dinner this year. 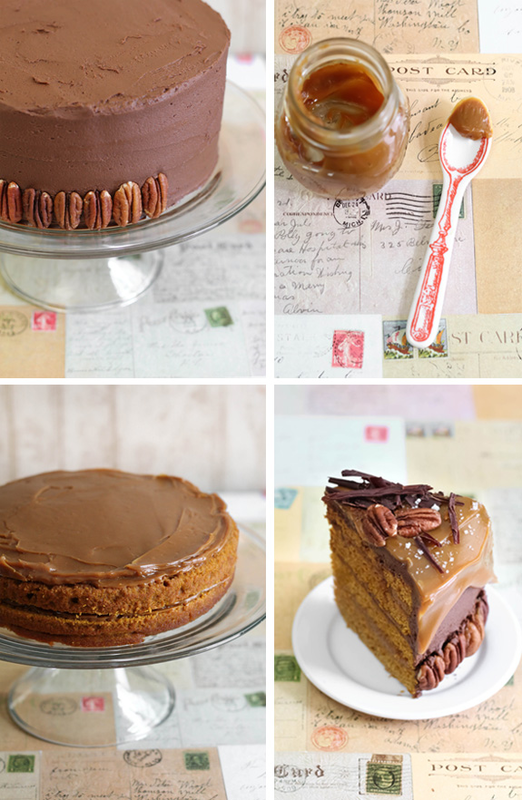 I use prepared dulce de leche for the filling in this cake and it's also in the topping. 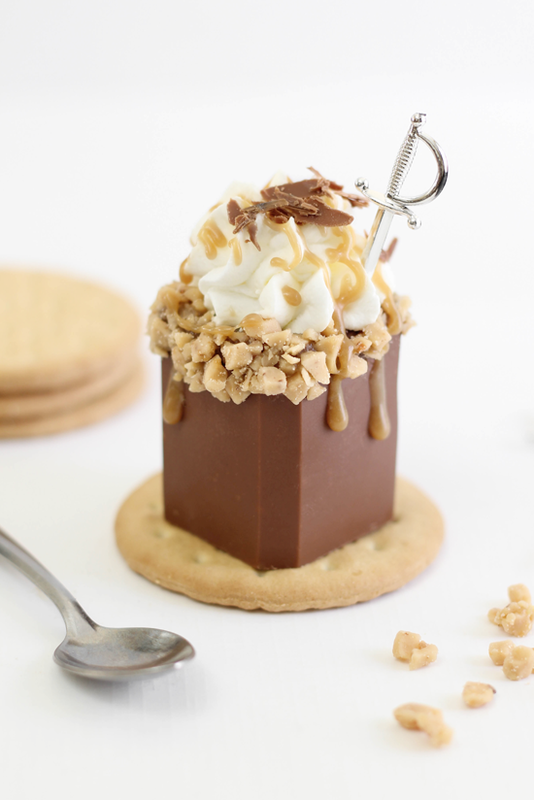 It provides all of the milk-caramel flavor you'd want without any sugar-boiling or candy thermometers. This is a great shortcut, but I must speak a few cautionary words - we all know that quality ingredients make quality food; it's a universal truth that bears repeating. 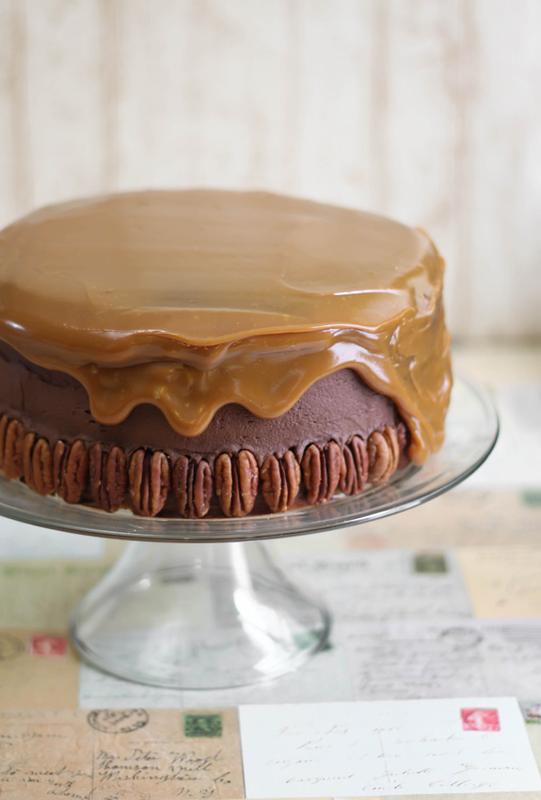 Use the best prepared dulce de leche you can find. Hi friends! 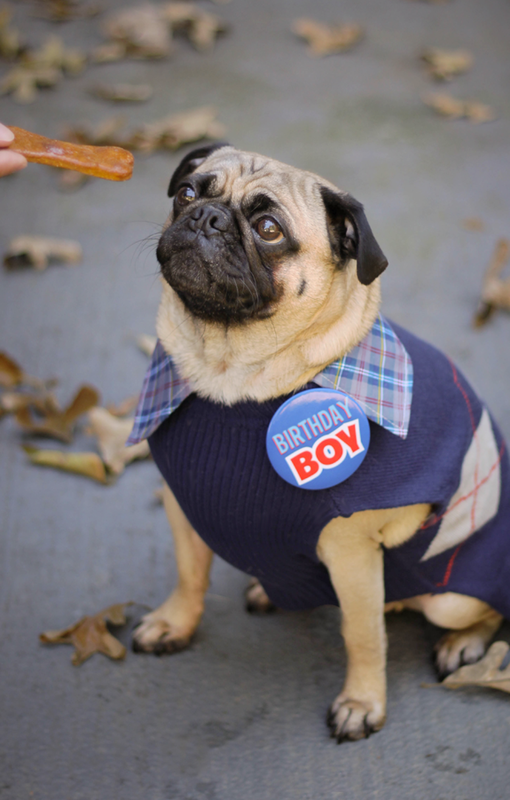 I'm updating with a quick little post to wish my best buddy Biscuit a Happy Birthday! He's the most funny, spirited, mischievous little dog I've ever had. Everything he does borders on ridiculous! He definitely helps me to not take life too seriously, and I appreciate that. 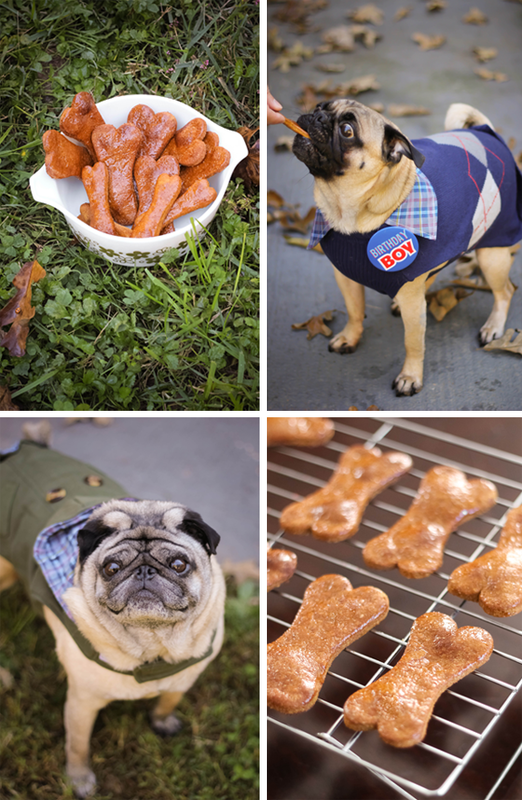 I like to keep wholesome treats on hand for the pups, and these pumpkin biscuits are just that - plus they're easy-peasy to make. The honey glaze I brush on them during baking makes them extra tasty, and the boys always scarf them down! Every time I opened the refrigerator this week I had leftover pumpkin puree staring me in the face. It wasn't enough to make a pie, and it was too much for another round of these. When you take the time to roast your own pumpkin for puree you hate to see it wasted. Something had to happen, and soon. 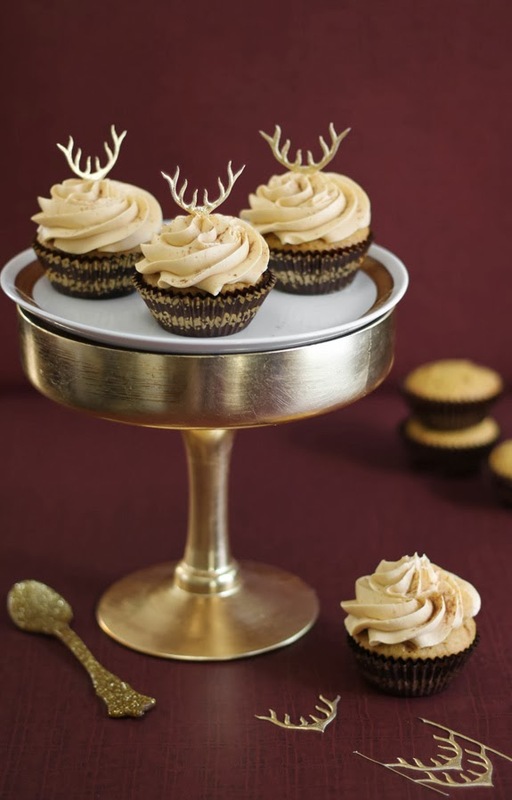 Happily, I discovered these pumpkin cupcakes. They take exactly 3/4 cup of pumpkin puree to make, which was exactly the amount I had left over -yes! I decided to add butterscotch chips to the batter because, well, I am so (inexplicably) into butterscotch these days. I looked around for a good butterscotch frosting recipe but they all used brown sugar and a long list of various and sundry. I cheated a little and made the frosting with melted butterscotch chips. It worked! And it's mighty tasty, too. The past weekend was spent picking out pumpkins for every purpose - sugar pumpkins for roasting, mini pumpkins for the mantel, great pumpkins for carving and one little white pumpkin just because. The next logical step was to make a delicious pumpkiny something, and these pumpkin tassies were just the treat. 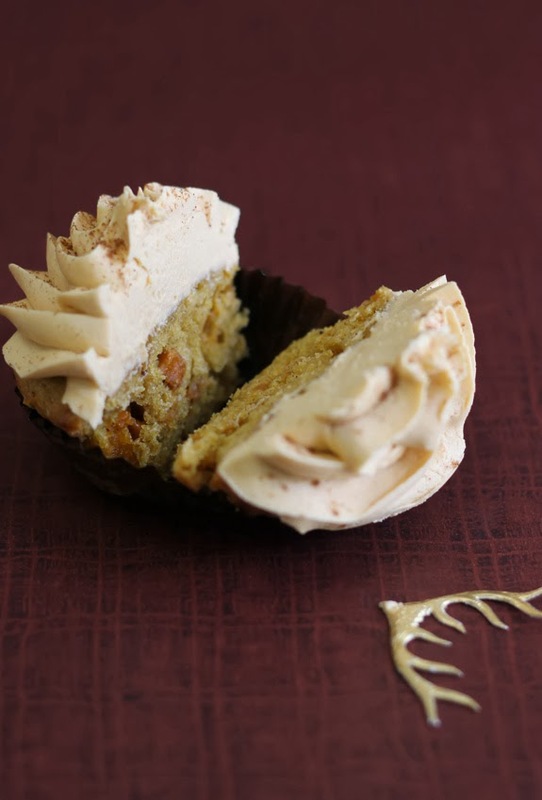 They're like mini pumpkin pies, but better! 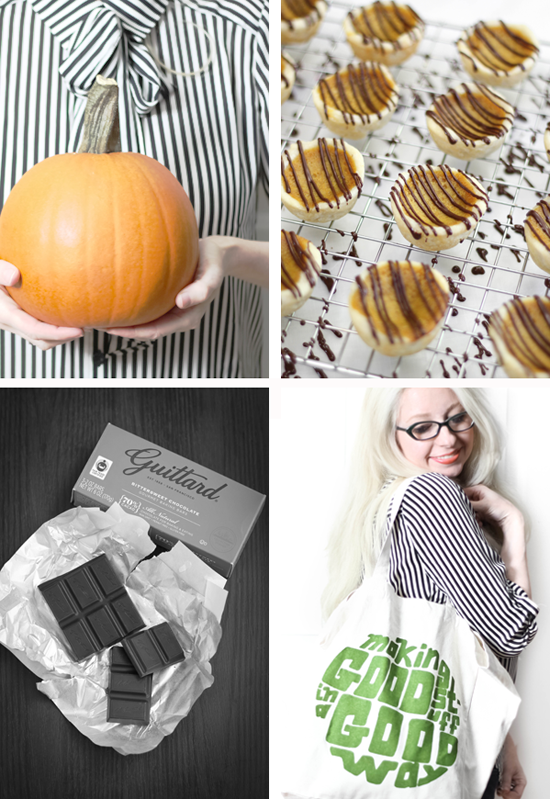 Better because they're drizzled with chocolate - and not just any old chocolate, Guittard, a Fair Trade chocolate! October is Fair Trade month, and the kind folks from the nonprofit organization reached out to me to help spread the word. So, what is Fair Trade? "Fair Trade goods are just that. Fair. From far-away farms to your shopping cart, products that bear our logo come from farmers and workers who are justly compensated." Knowing that will make your chocolate taste even sweeter! Hello October! This month brings out the kid in me like no other (even more so than Christmas! ), and I get positively giddy for all things spooky. This year I decided to start celebrating early with a Halloween cake project. I'll admit - I got carried away with this tutorial. 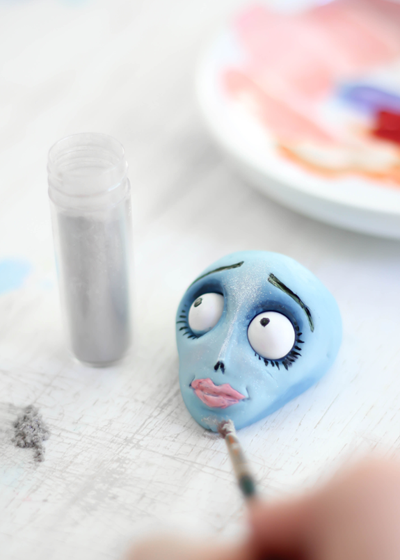 There are tons of step-by-step photos and lots of instruction for all the tiny details - it's almost like a mini e-course in gum paste sculpture. It's probably the biggest tutorial in all of Sprinklebaking history! 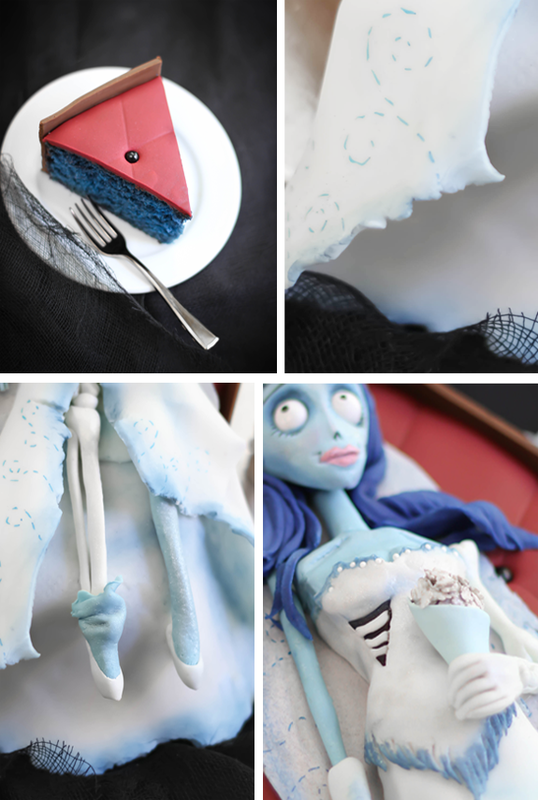 As you may know, I love Tim Burton's stop-motion-animation characters (remember my Sparky cake from last year?) 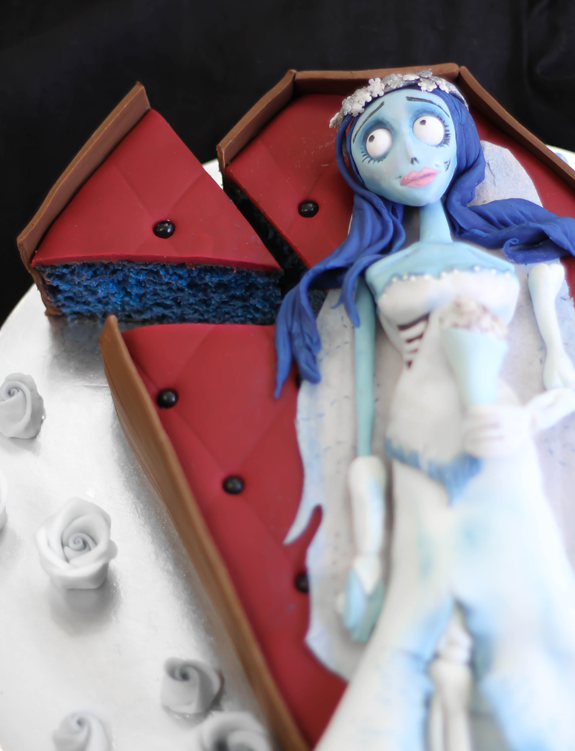 and I've recently re-watched Corpse Bride. 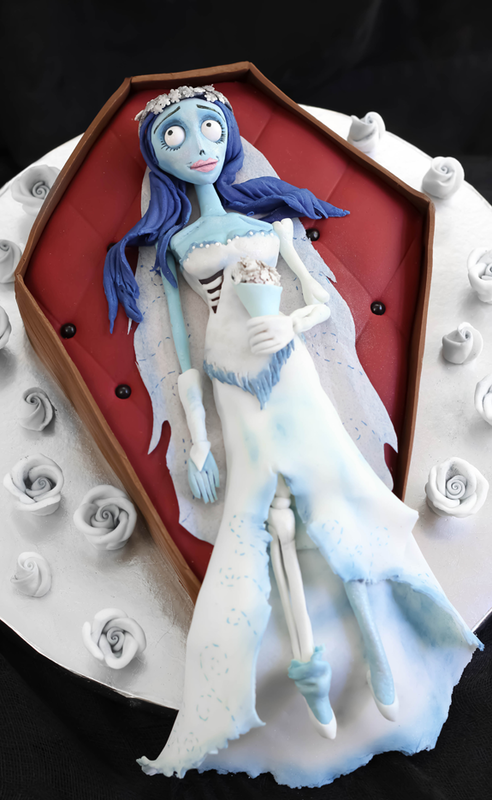 I have a huge soft spot in my heart for the main character, Emily, so I decided she needed to be cake-ified in blue velvet and chocolate frosting. (Spoiler alert!) I mean, if she can't have true love she should at least have chocolate frosting. It's kind of the same thing, right? Ready to see how I made her?